Parents Weekend offers an opportunity for the parents of students, new and seasoned, to visit Villanova’s campus. Parents Weekend 2014 will be held from Sept. 19-21. This year’s guest speaker for the Saturday evening program is the inimitable Kevin Spacey. Spacey, an Academy Award-winning actor, currently executively produces and stars in the hit Netflix original series House of Cards. He is perhaps most known for his breakout role in The Usual Suspects and his memorable characters in American Beauty and L.A. Confidential. But Spacey’s involvement in the arts does not end at producing and acting—he also funds emerging artists through the Kevin Spacey Foundation; has his own production company, Trigger Street Productions; and since 2004, he has worked with The Old Vic Theatre Company in London as Artistic Director. 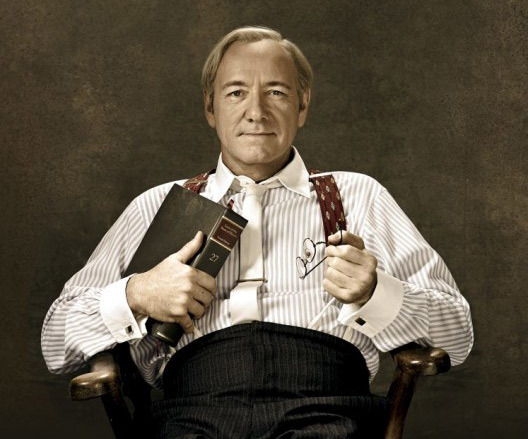 If you’d like to learn more about Spacey, or delve into his filmography here at Falvey Memorial Library, check out the resources compiled by Sarah Wingo, liaison librarian for English literature and theatre. Falvey Memorial Library has two articles and two documentaries. Here is the full list of films on VHS & DVD at Falvey. 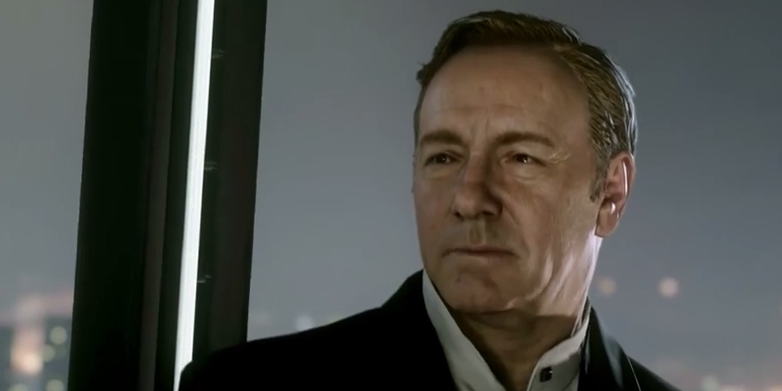 And see how even Kevin Spacey pixelated can steal the show in an upcoming video game. Dig Deeper links selected by Sarah Wingo, team leader- Humanities II, subject librarian for English, literature and theatre. Article by Michelle Callaghan, graduate assistant on the Communication and Service Promotion team. 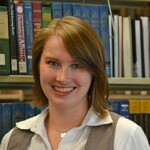 She is currently pursuing her MA in English at Villanova University.